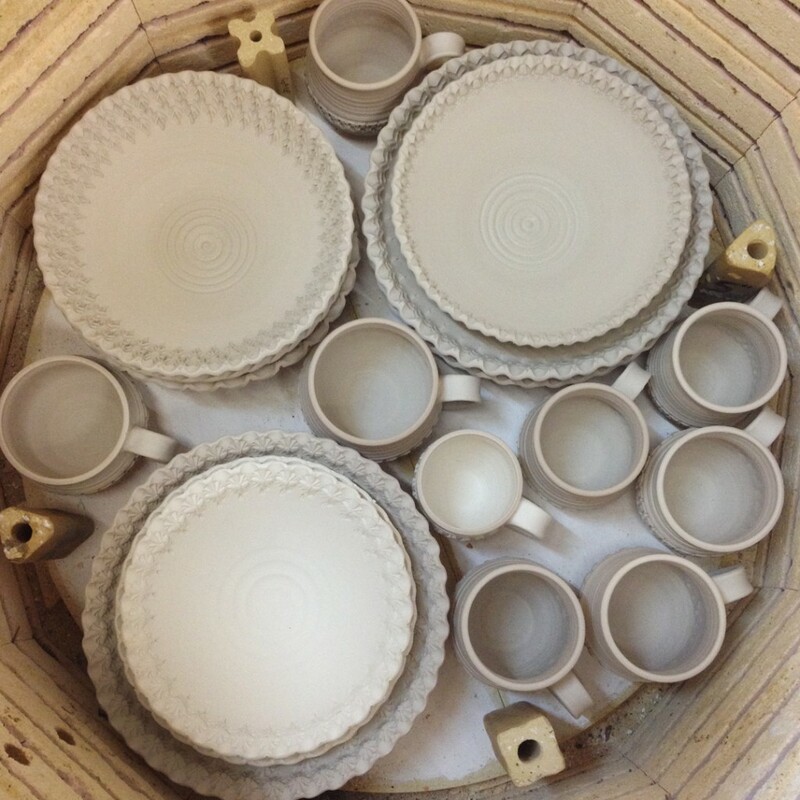 One final glaze kiln. Four final letters. Cool, unload and then it’s off for a Merry Christmas!!! in the next few days!!! ...did I mention LOTS?!!! 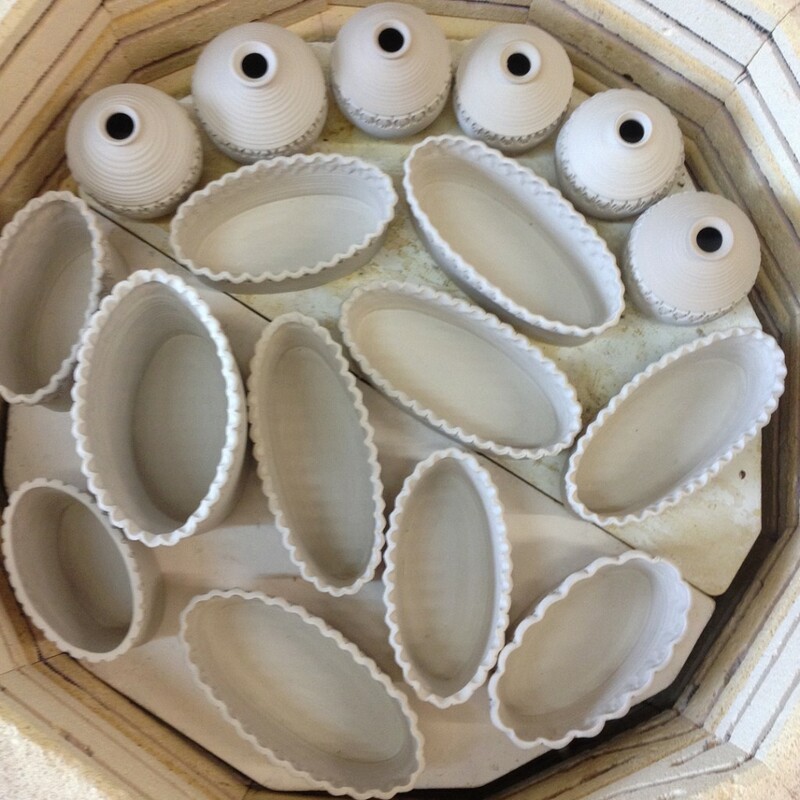 Just checked my kiln… so far so good. 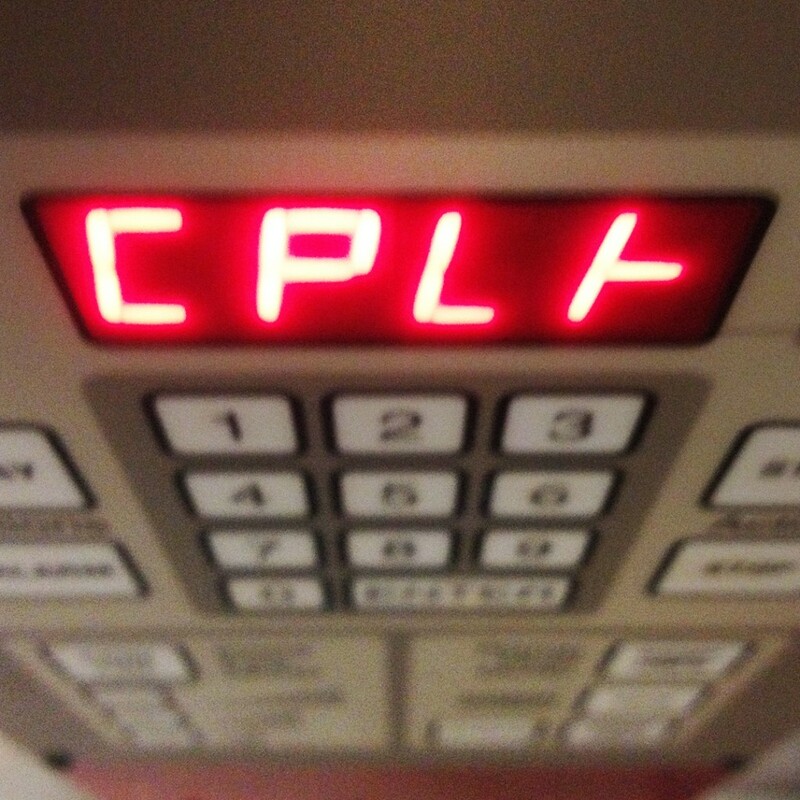 Always a sigh of relief to see that CPLT!!! 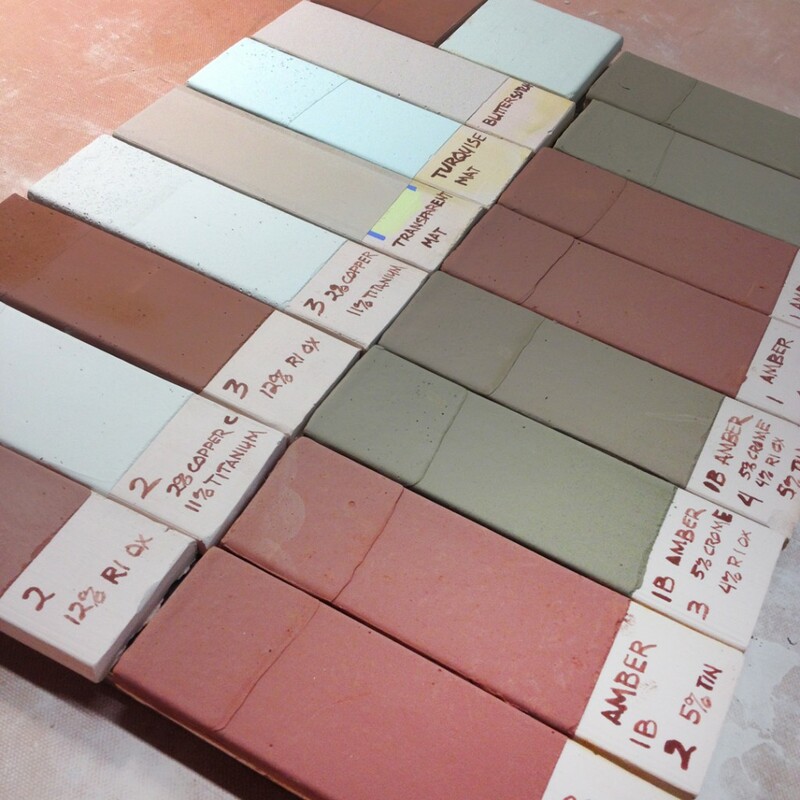 When my tile-making friend Mike Skiersch found out I was firing a cone six kiln… he was eager to “squeeze in” a few new glaze test tiles! Little did I know they would be so large, so perfect and so many. 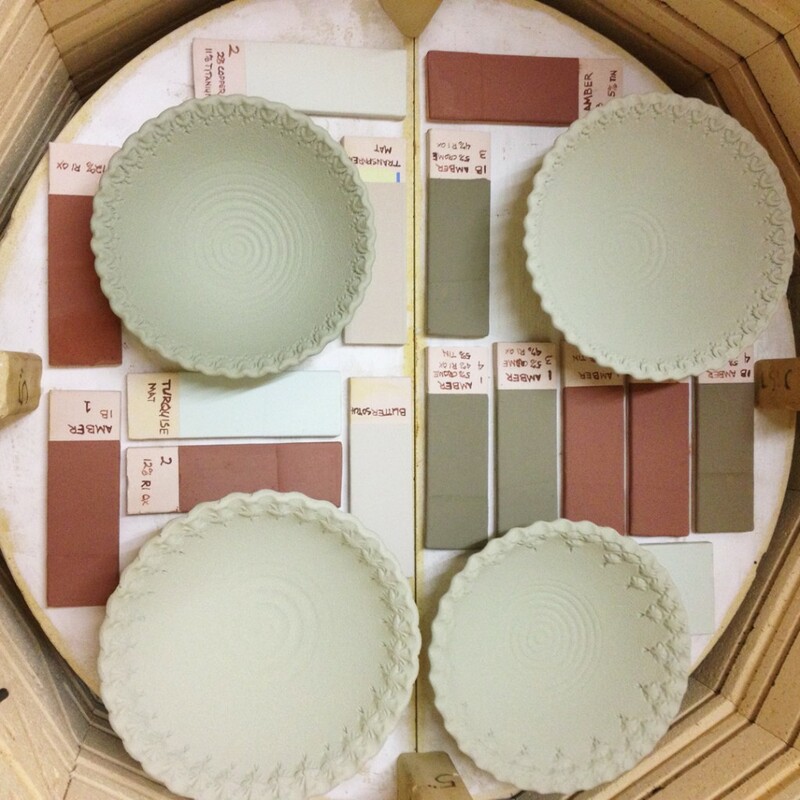 No worries… I’m always anxious to see some new glazes. I just hope a couple of these new recipes work out perfect… and that Mike is willing to share the recipes with me?! “MUD & METAL” Holiday Home Show! 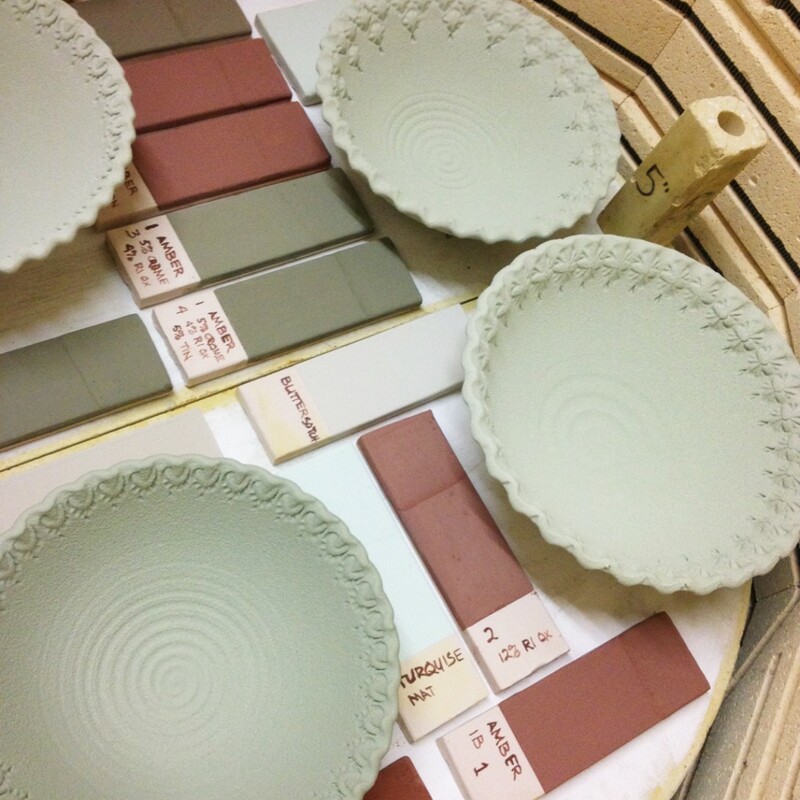 If all goes well, these bowls will be a beautiful green! 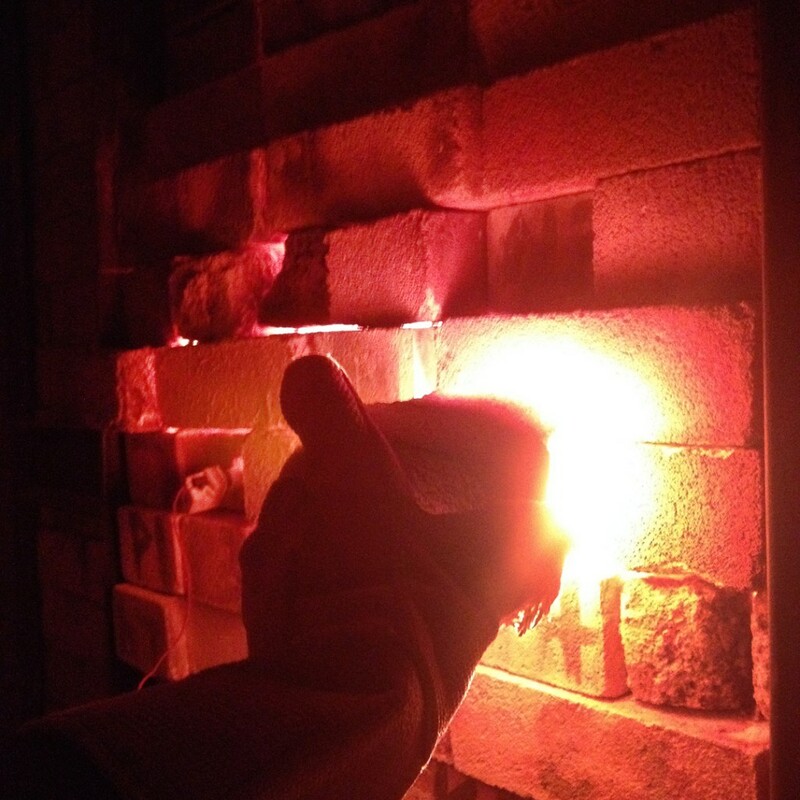 It’s always fun to take the front door brick off the kiln. 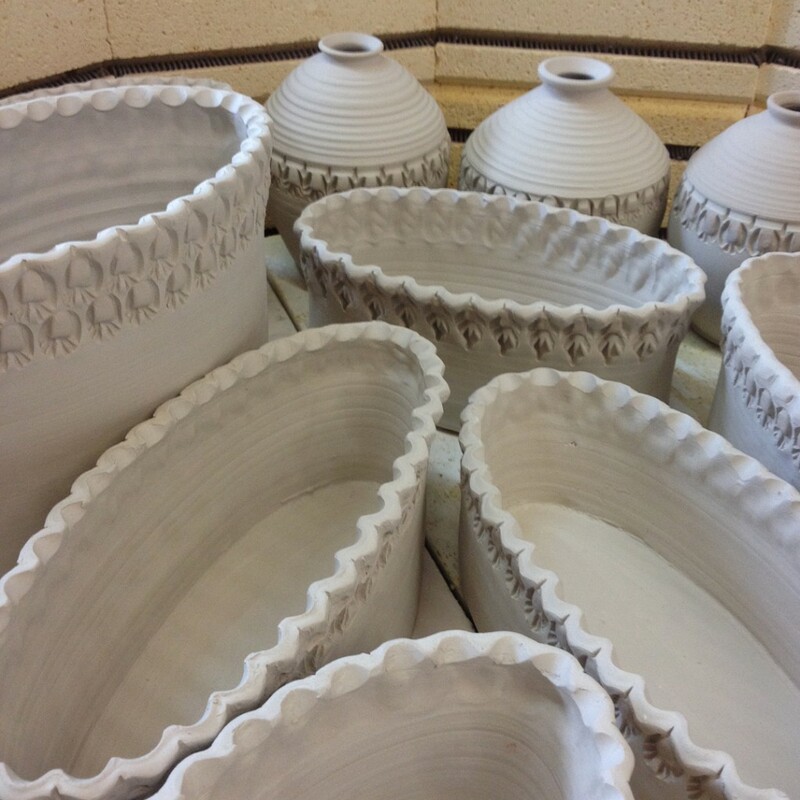 Too finally see what happened during the soda firing. 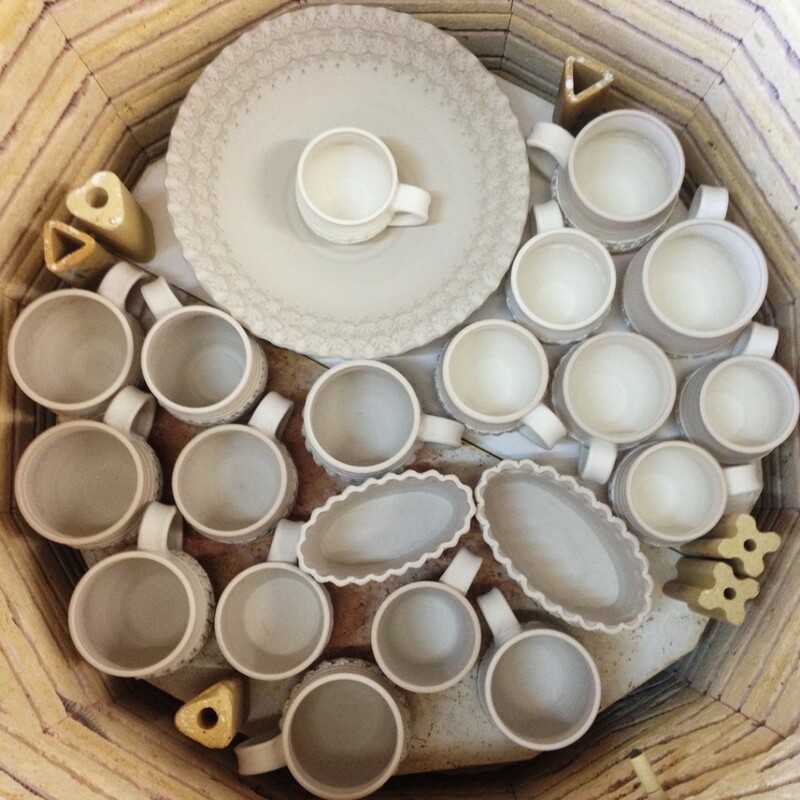 Hoping to find some new treasures inside the kiln… and from the looks of the front stack… I’m pretty confident there’s more inside!!! Soda mixture inserted. Cone ten dropping… and done. 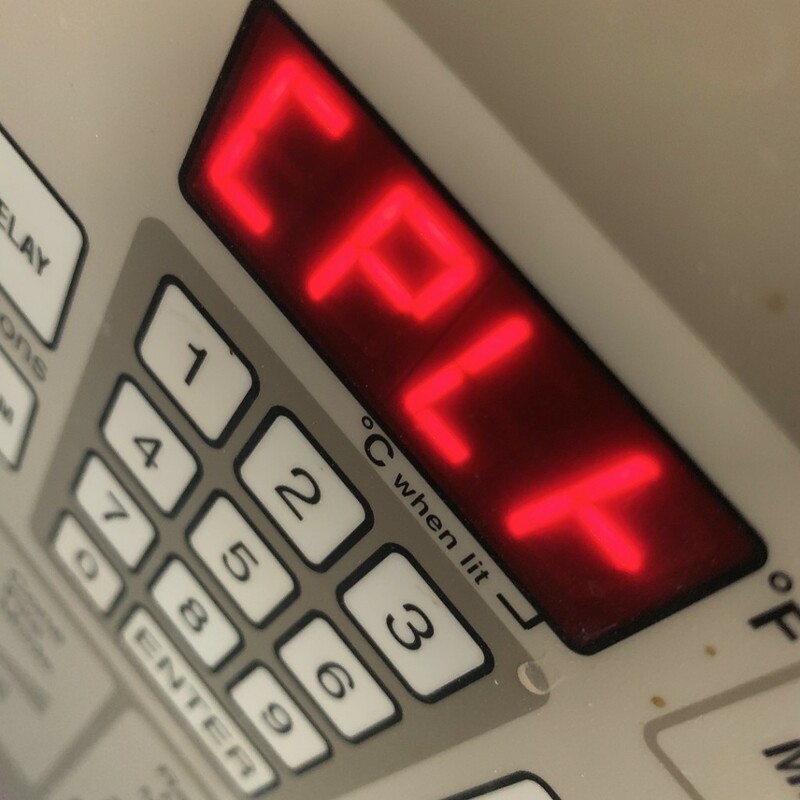 Gas & air turned off. 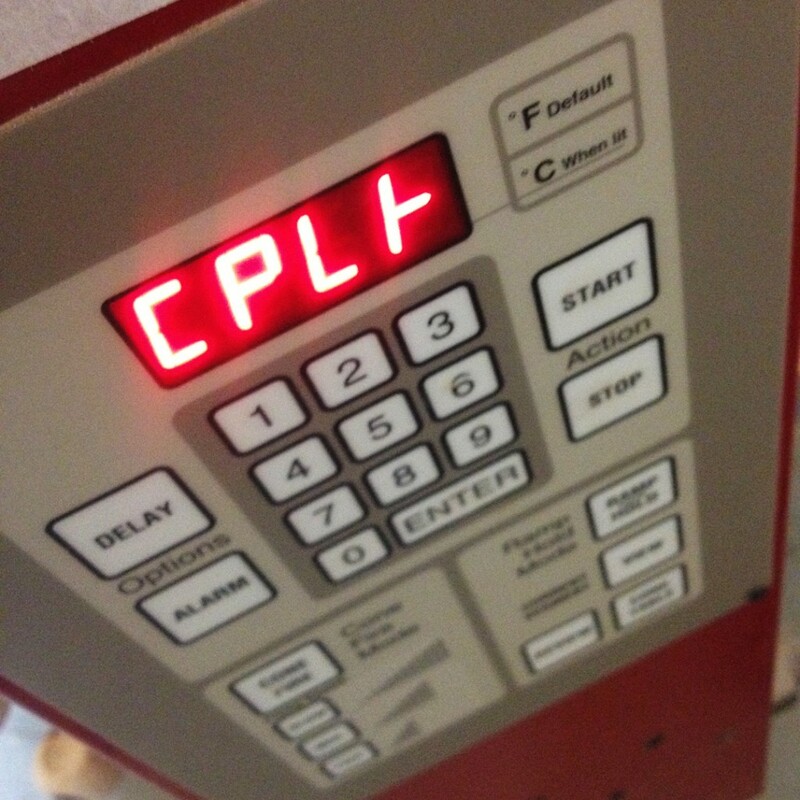 Damper closed. Done for the night. 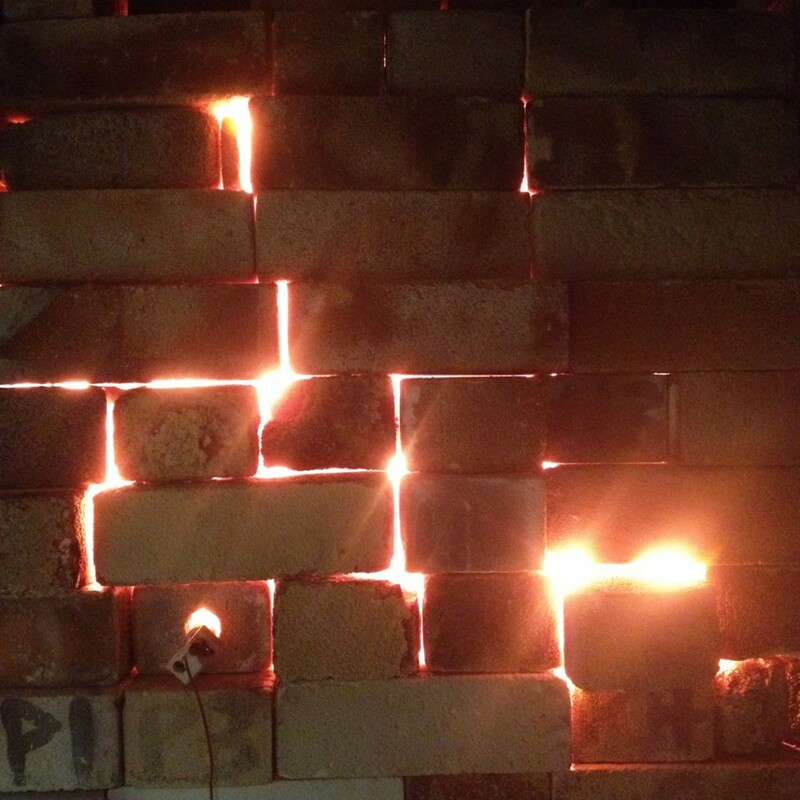 All that’s left is a beautiful glow between the bricks. starting to bend. Gonna start adding the soda mixture soon. 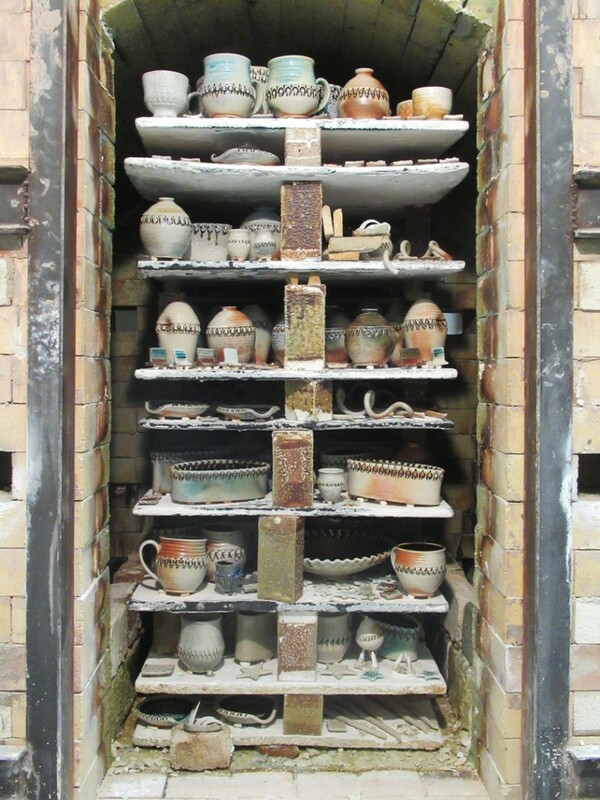 Soda Kiln : Lots of Shelves. 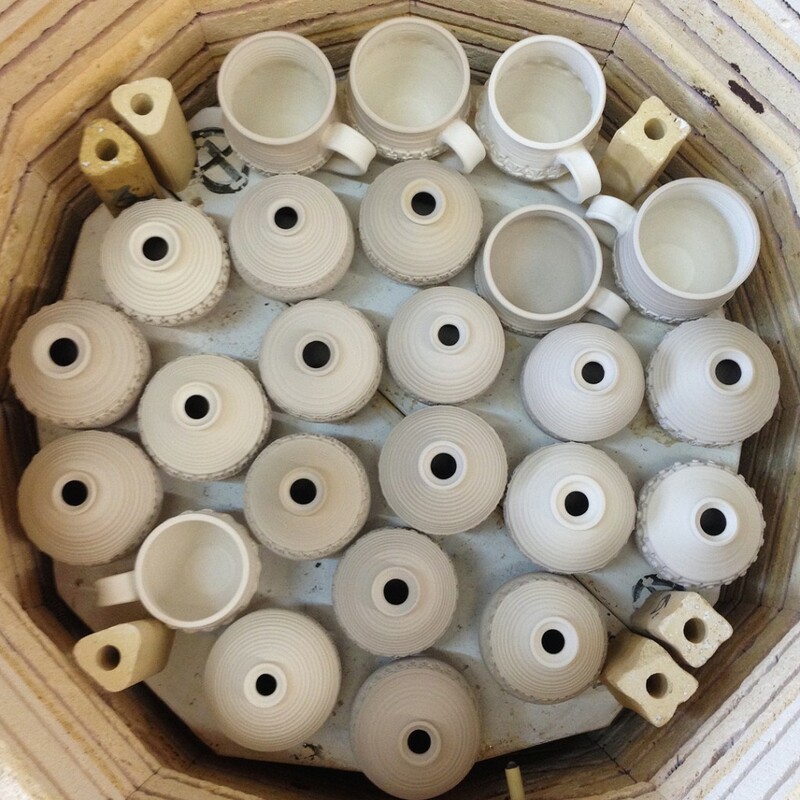 Lots of Pots. 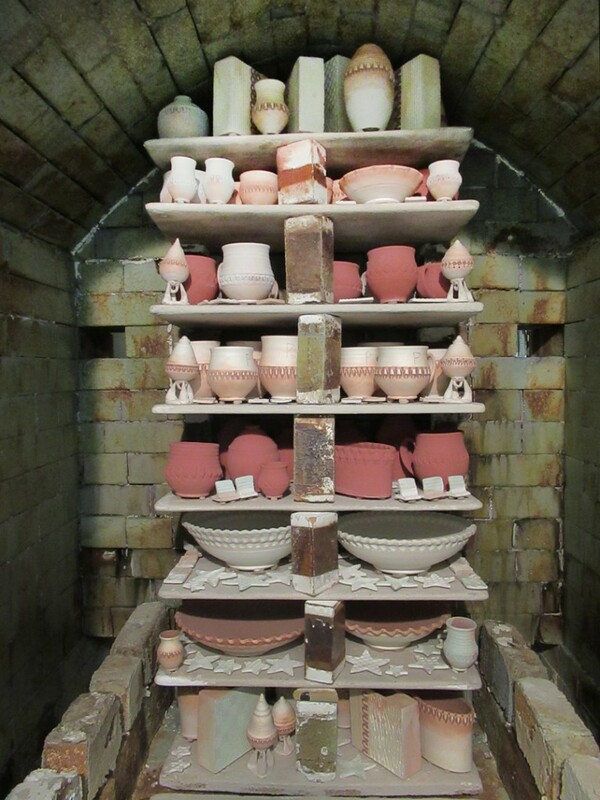 As expected, it took me more than “a few” hours to load the soda kiln. 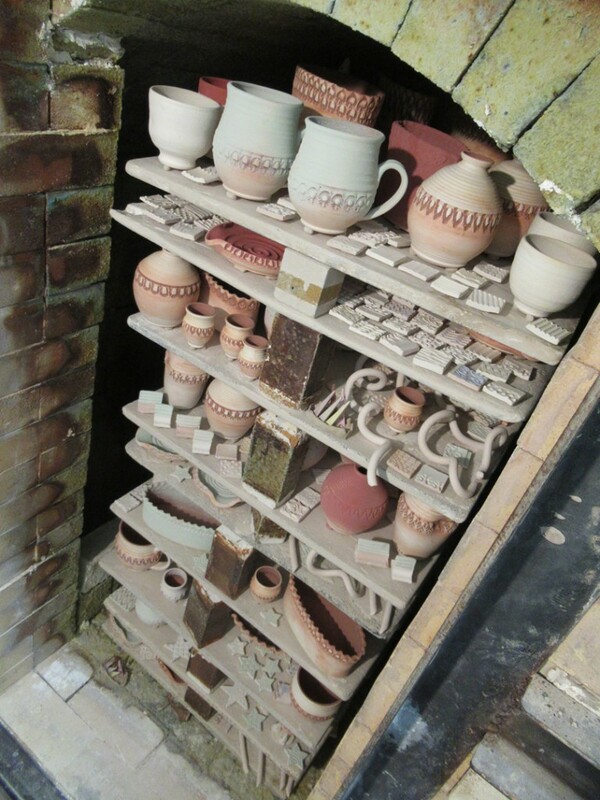 Shelf by shelf, pot by pot, layer by layer. 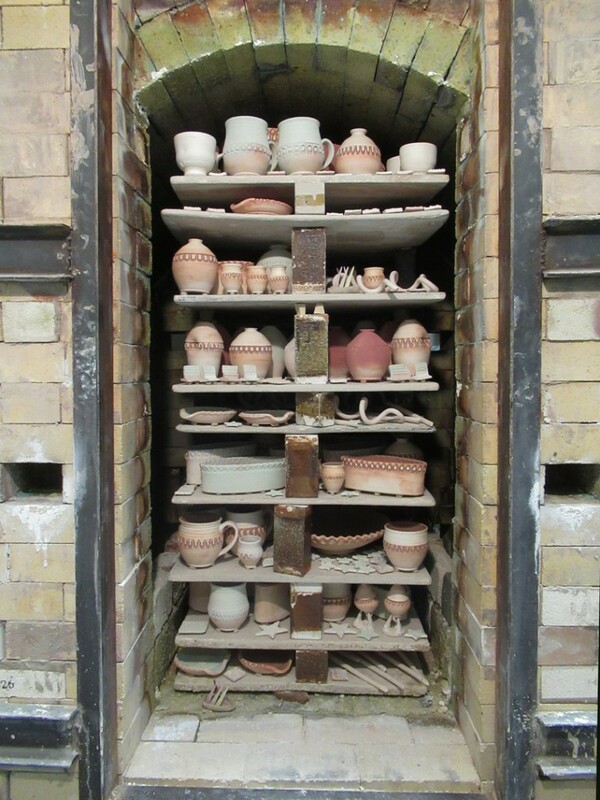 But I got a LOT of pots into the kiln… and tons of tiles filling the small spaces. 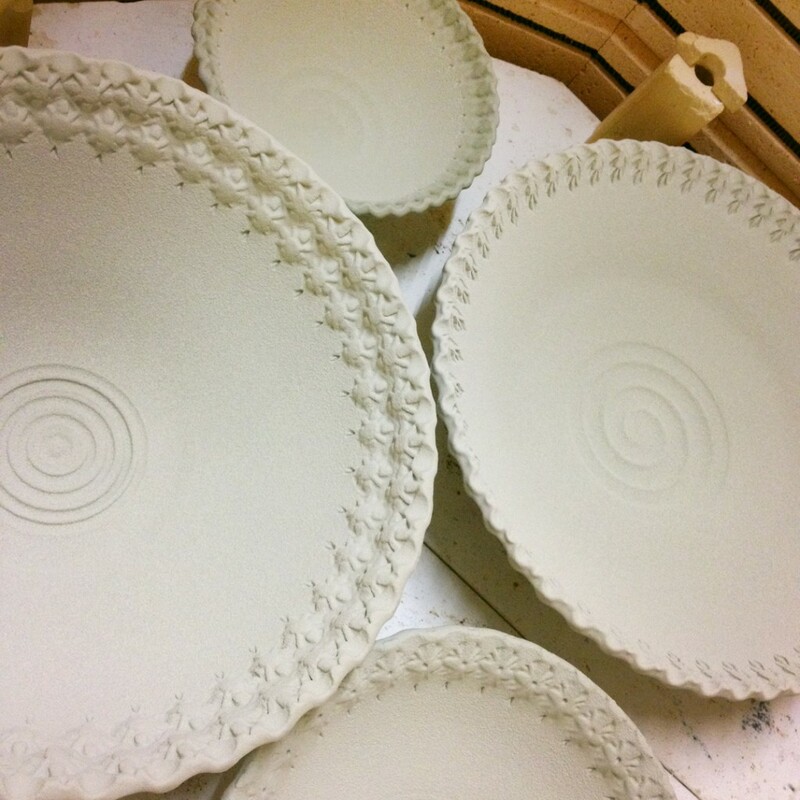 Bricked up the door late last night and went home for a quick “nap” and a shower… and now I’m back at the studio firing the kiln! Gonna be another long day! And the front stack from a groovy angle!